This is the phrase Kevin keeps uttering as we sand, price, and prepare his pots for the upcoming spring sale. 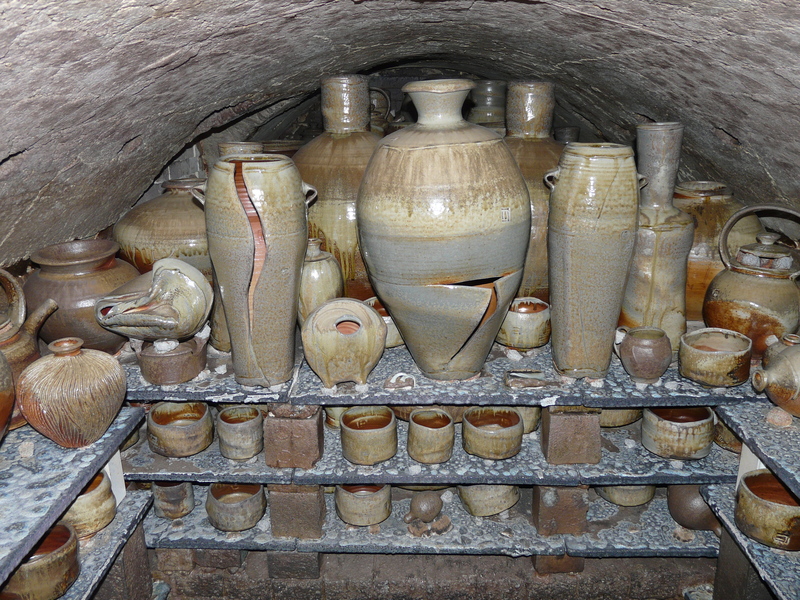 This time is a gift, when we can hold and inspect each of the nearly 1,000 pots which came out of the most recent firing. 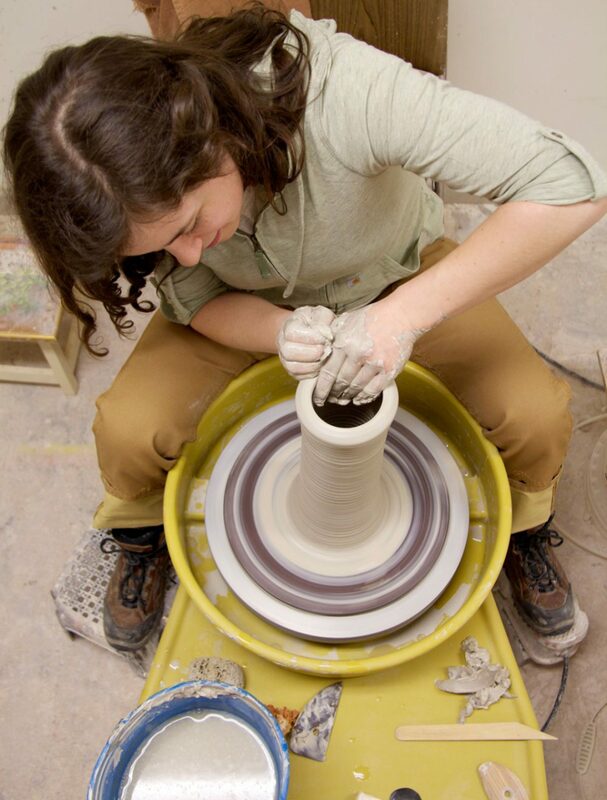 Sanding the foot of each ashy teabowl, I revel in the complexities of the long-fired surface. Each square inch of the pot reacted differently to the flame, of course, but in addition to that, the deeper you look into the skin, the more there is to see. There are reduction blues, glassy green ash rivulets, and crystalline growth matte-ing the surface. There are shino-like ash accumulations, satiny with freckles, on many. On the wall of one bowl, I notice confetti-like gold specks overlapping one another, a surprise party captured in molten glass. When I point this out to Kevin, he responds, yet again with patient acknowledgment to my giddy joy, “So many gifts…” and continues sticking prices on bottles across the room. 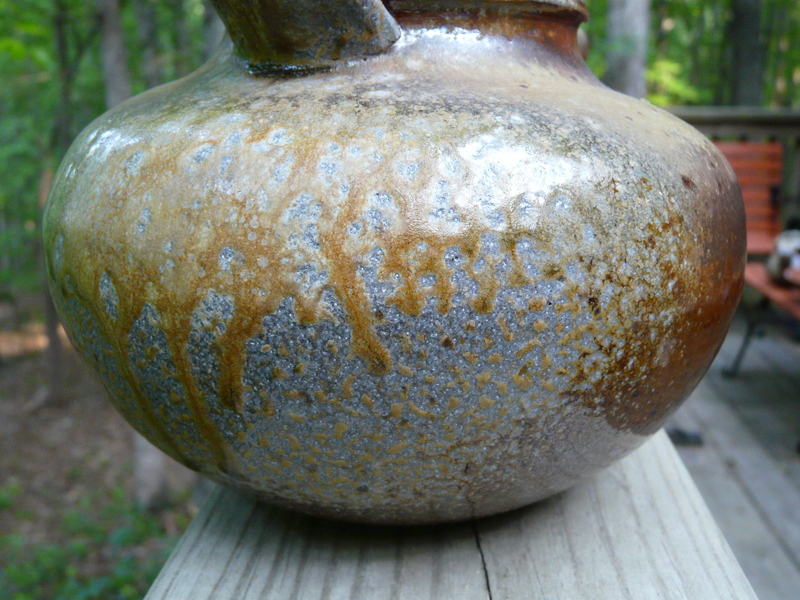 The longer you look at pots from this kiln, the more gifts you receive from it. Recently at the studio, Kevin’s friend Chad led us in a traditional Japanese tea ceremony. During the ceremony, both the server and the guests are afforded time to appreciate and give thanks to the teabowl itself.